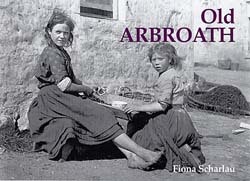 Evocative pictures of Arbroath's fishing community give a realistic portrayal of what life was like for the children and adults who depended on the sea for a living. There's fishwife Liza Swan carrying her heavy creel, and children with bare feet sitting on the ground baiting lines. Elsewhere in the book Arbroath is featured at play, with children enjoying a ride on one of Kerr's miniature trains, and crowds at the former open air swimming pool. All sorts of events, such as the arrival of the first German plane to crash in Scotland during the Second World War, and a fund-raising day for Arbroath Infirmary, are included, along with myriad pictures of rural, industrial and commercial life in this historic town.